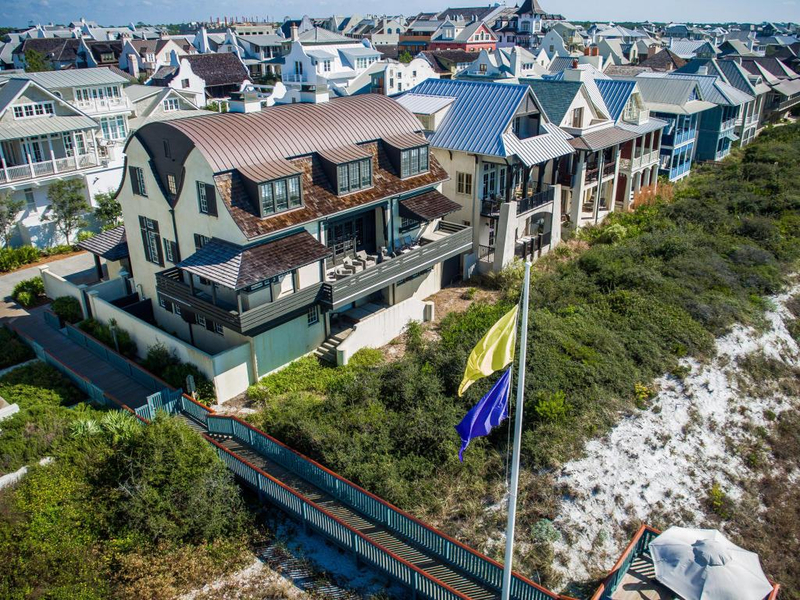 Gulf Front Masterpiece! 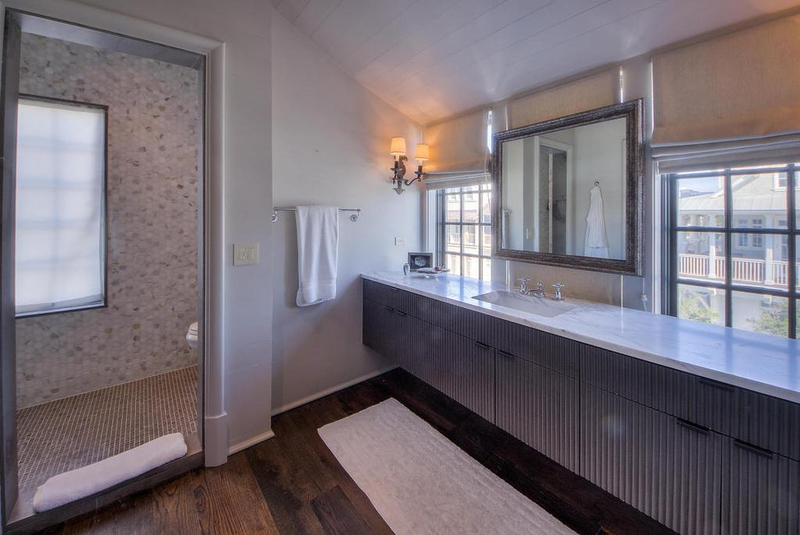 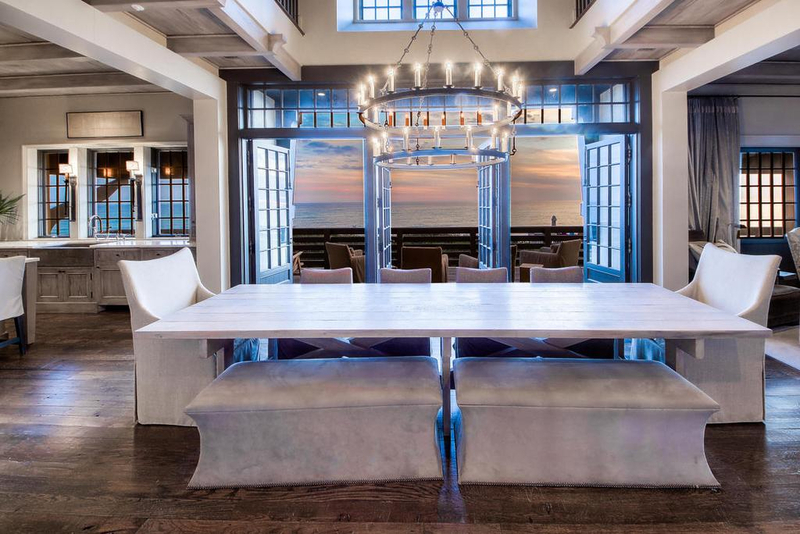 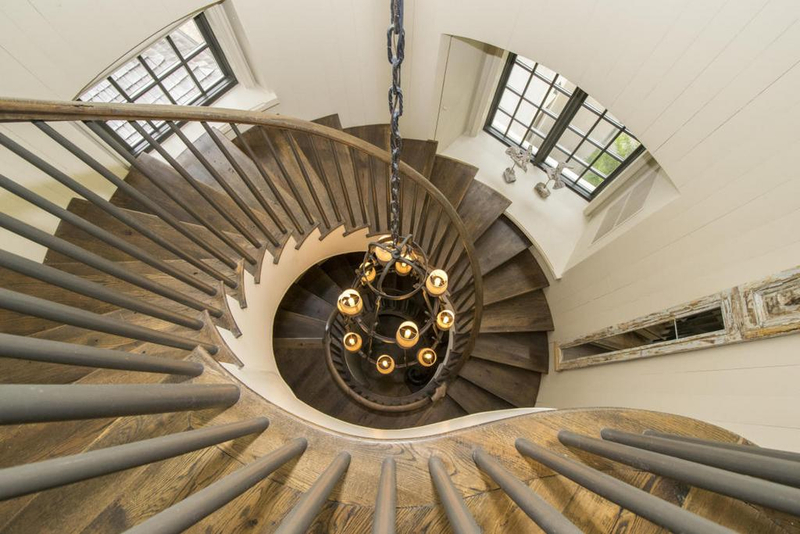 Bobby McAlpine has created a one of a kind spectacular custom home. 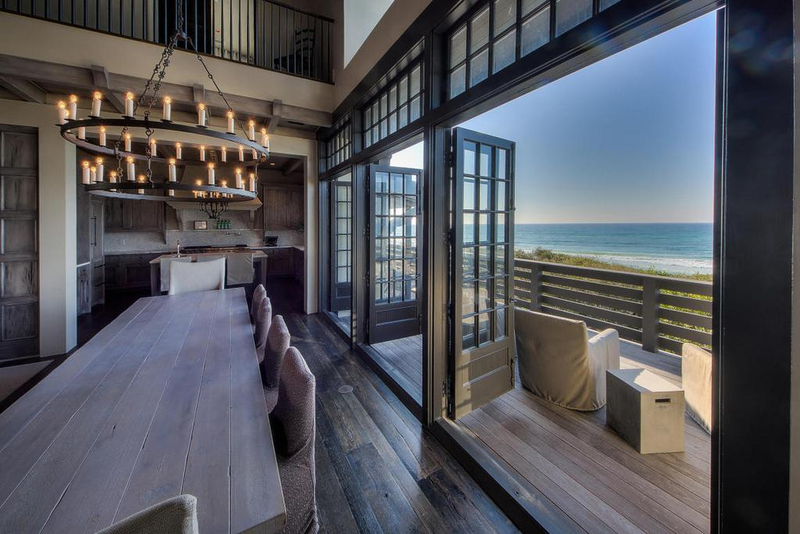 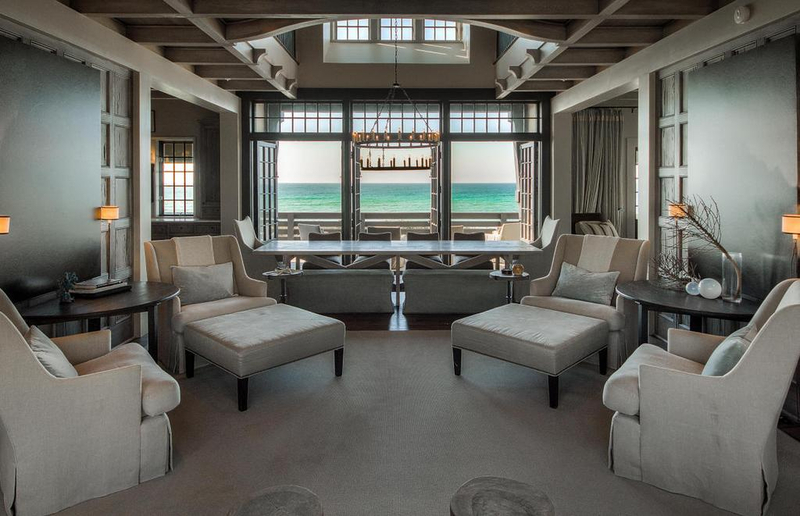 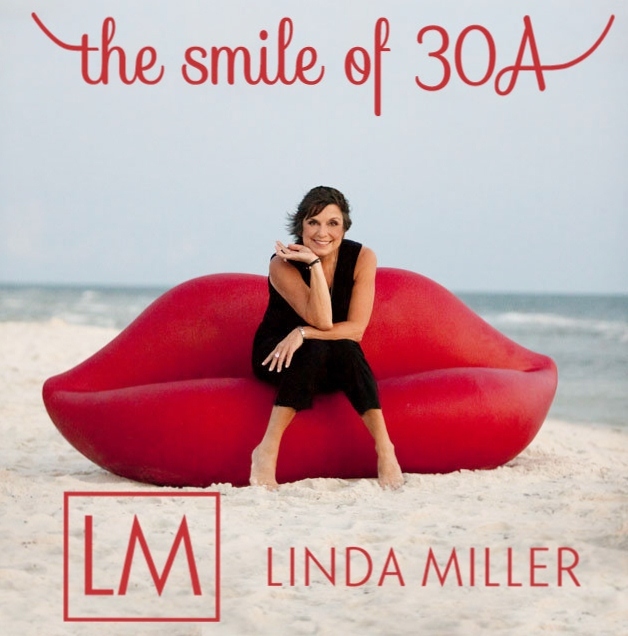 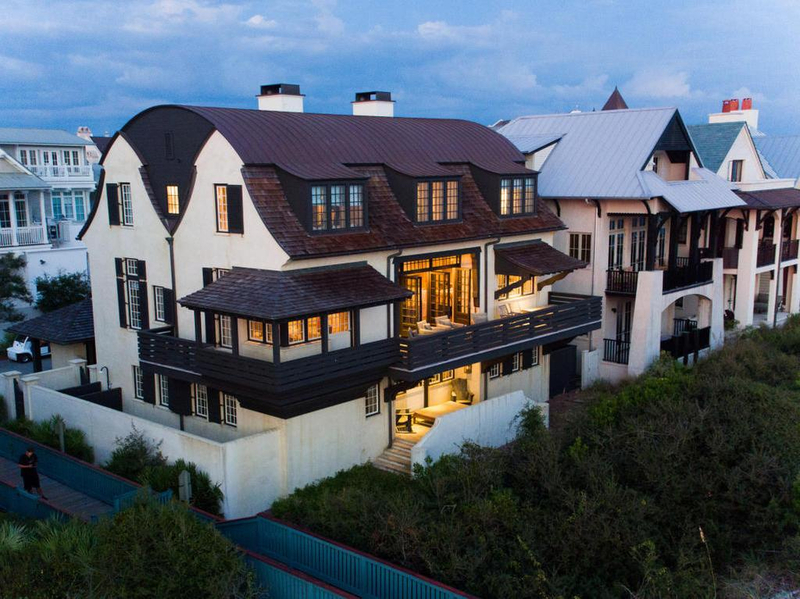 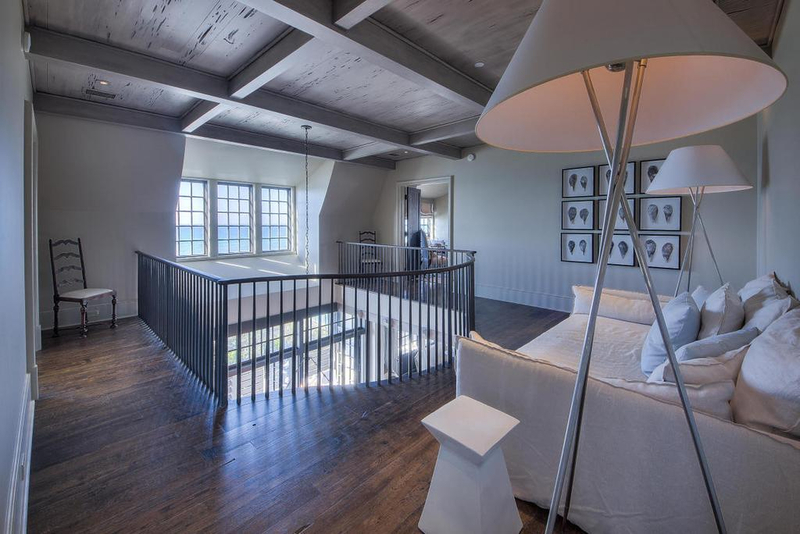 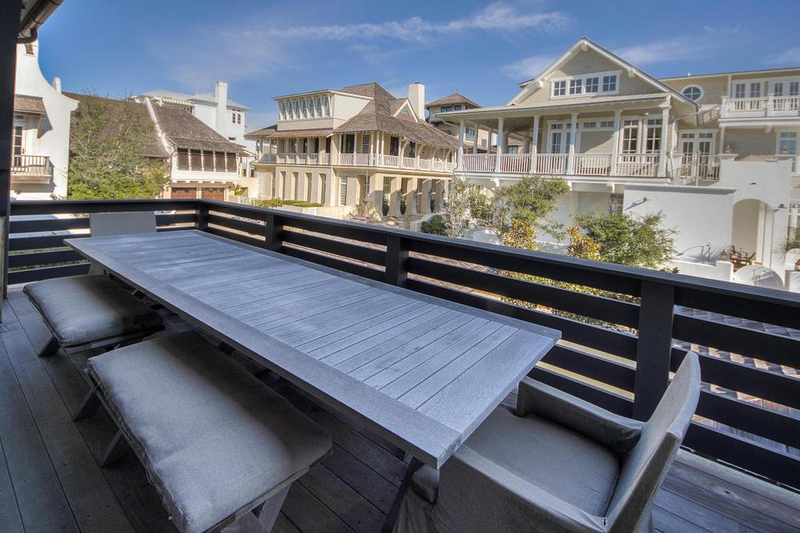 The home is built on 66 feet of Gulf Front on Rosemary Beach’s sugar White Sand. 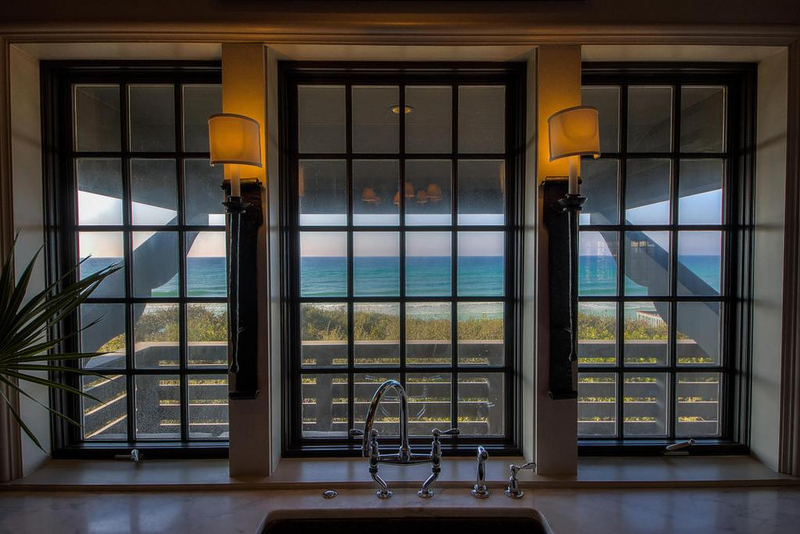 These Emerald Waters of the gulf invite you to come, relax, play and enjoy. 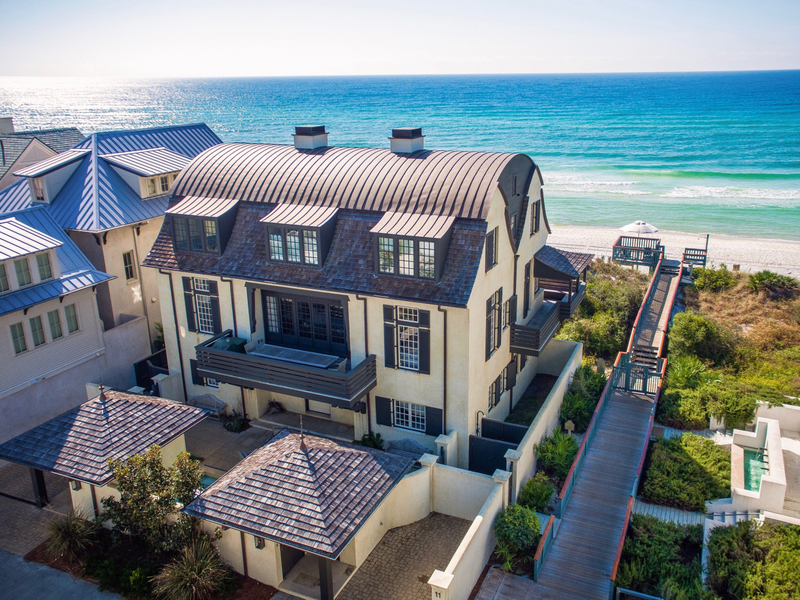 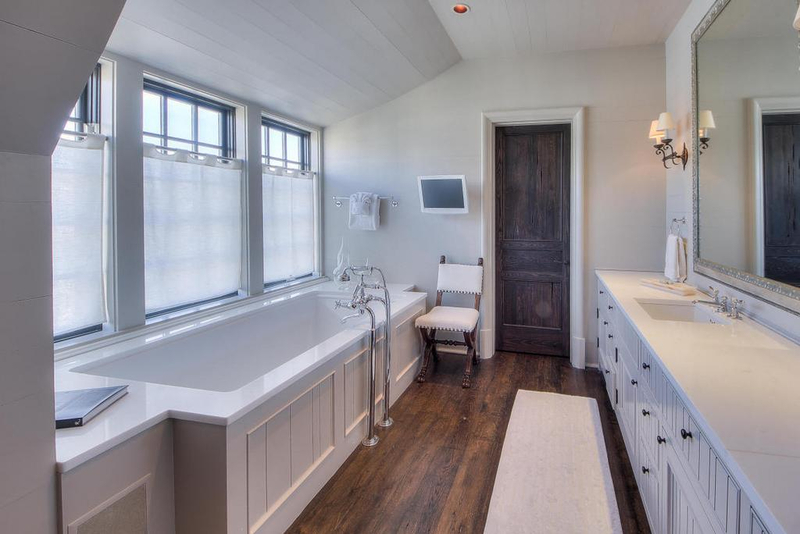 From the moment you enter this beautiful property you will experience it’s coastal elegance and casual feeling along with sophistication throughout the interior. 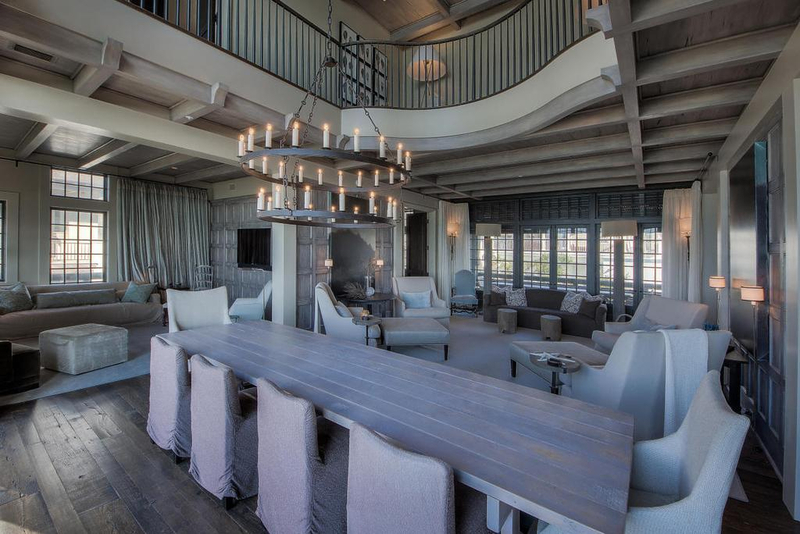 There are over 5,000 square feet of open space interiors designed to accentuate 18 foot ceilings of Pecky Cypress. 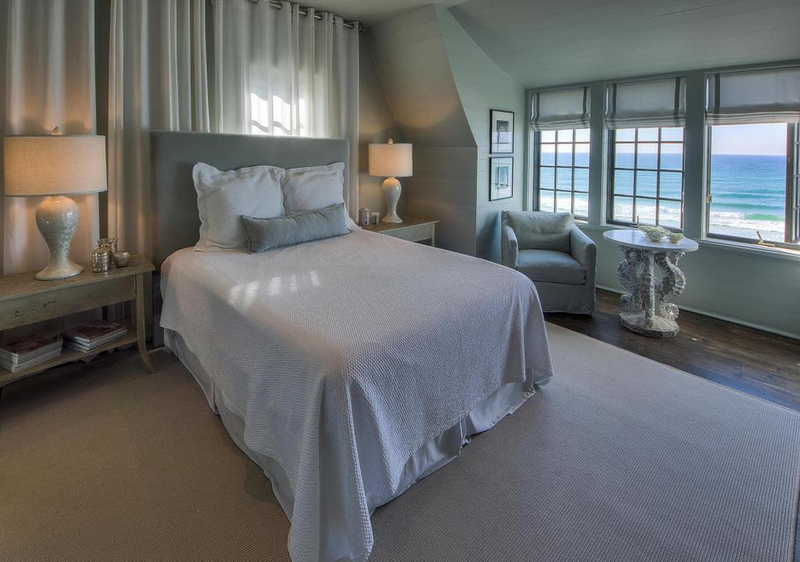 All interiors have been created with beautiful shades of taupes, driftwood grays, airy sky blues and creamy whites bringing ocean colors into each and every room. 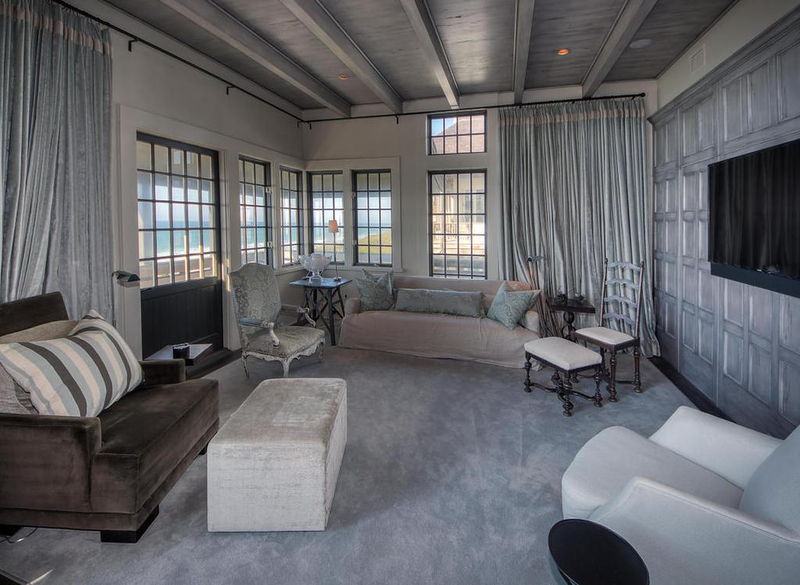 The expansive owners suite has views galore and several sitting areas. 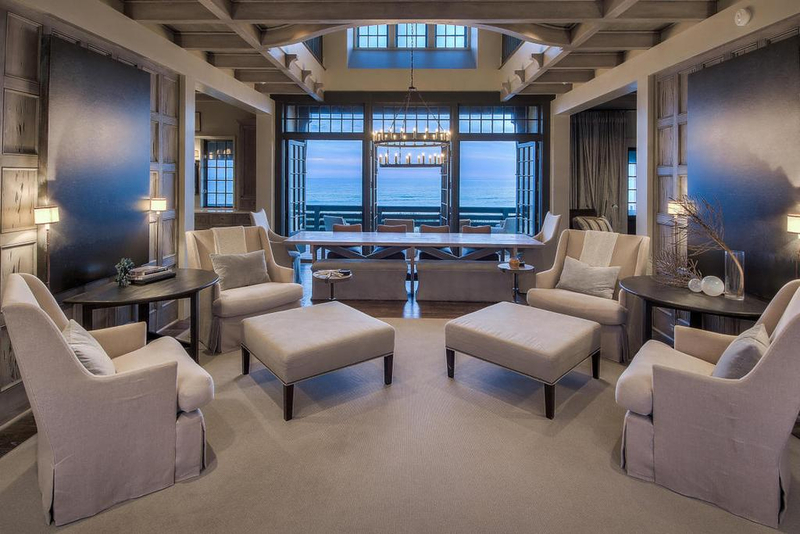 This floor also houses a junior owners suite with incredible views. 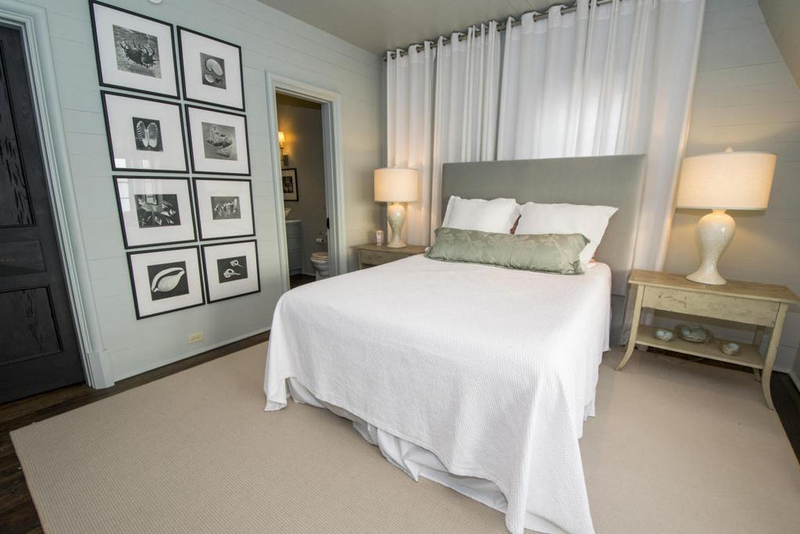 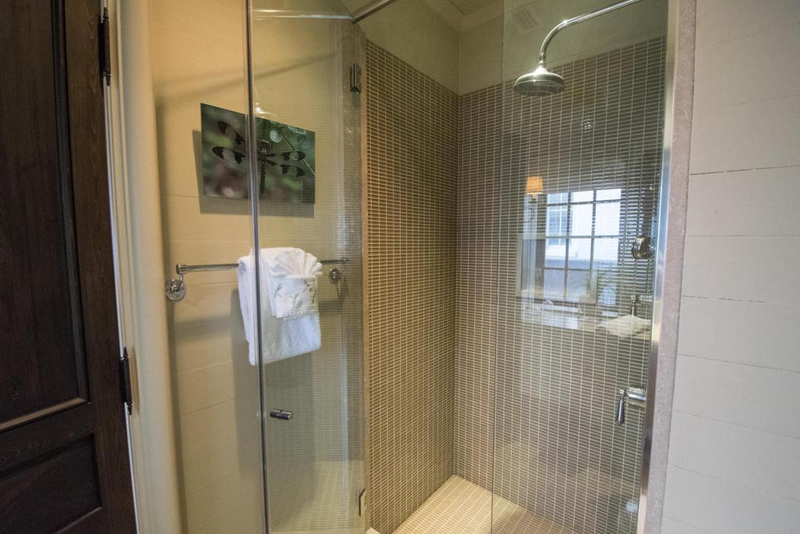 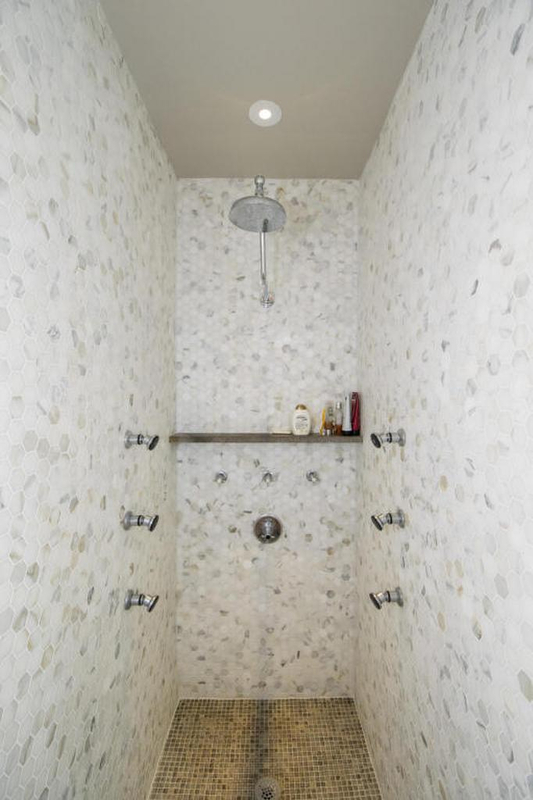 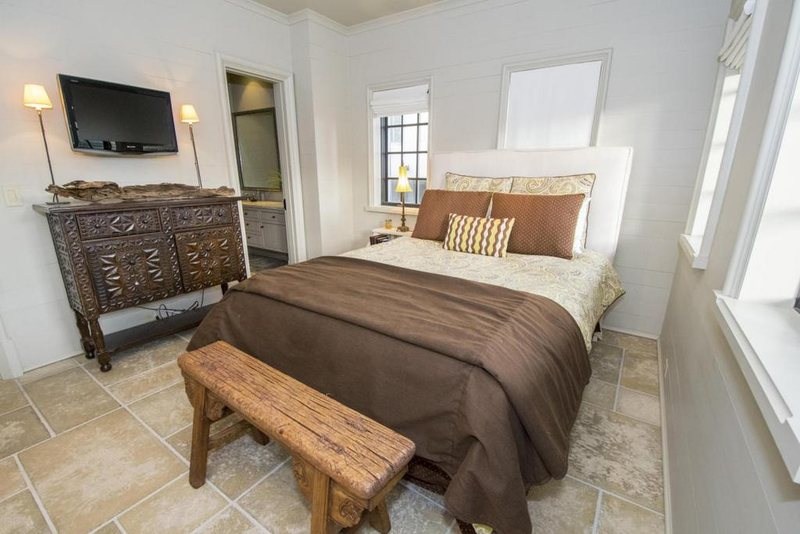 Other guest rooms are located thoughtout the home each with en-suite bath. 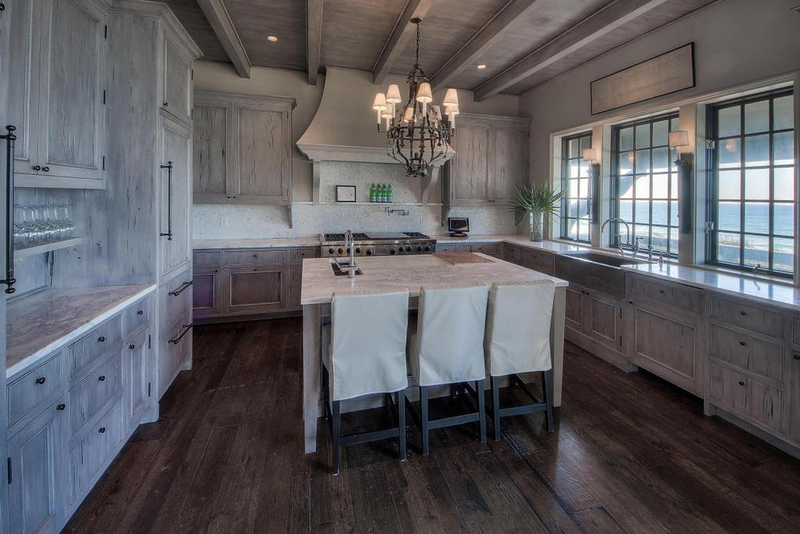 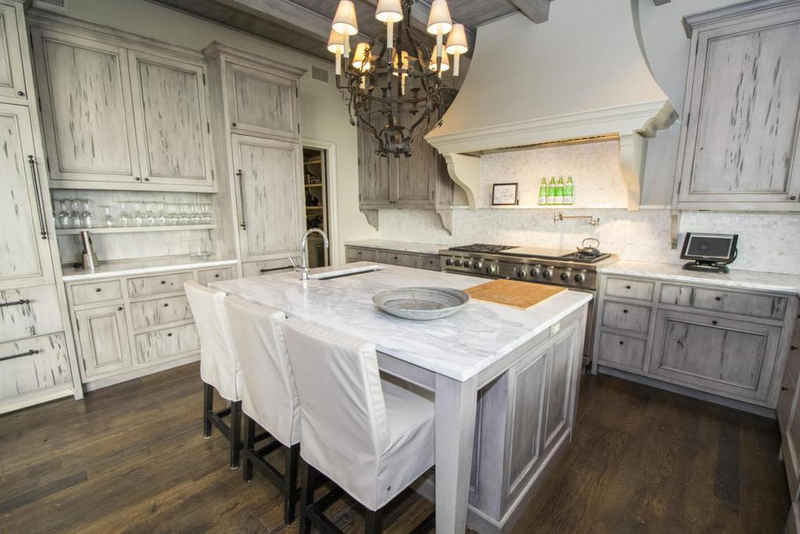 You will find the kitchen a chef's delight with exquisite customer built rustic cypress cabinets and marble counter tops. 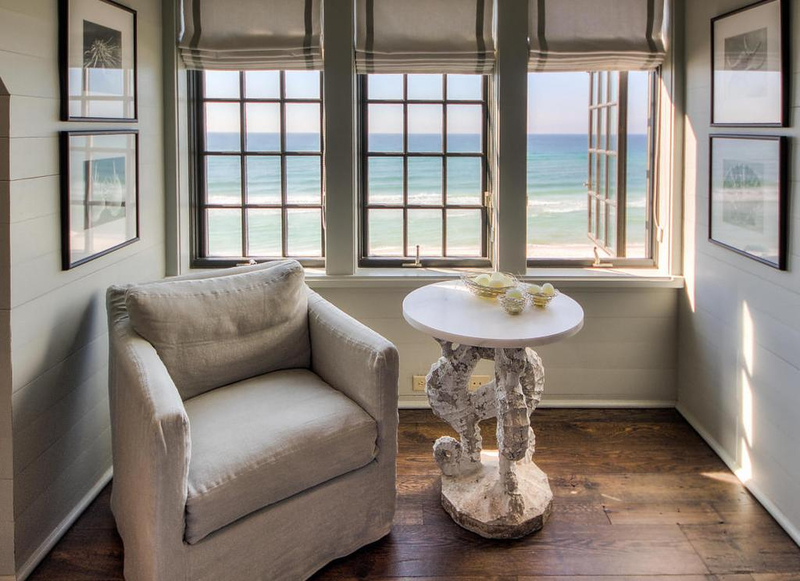 Every detail to comfort, sense of calm and romance are in and around this incredible beach home. 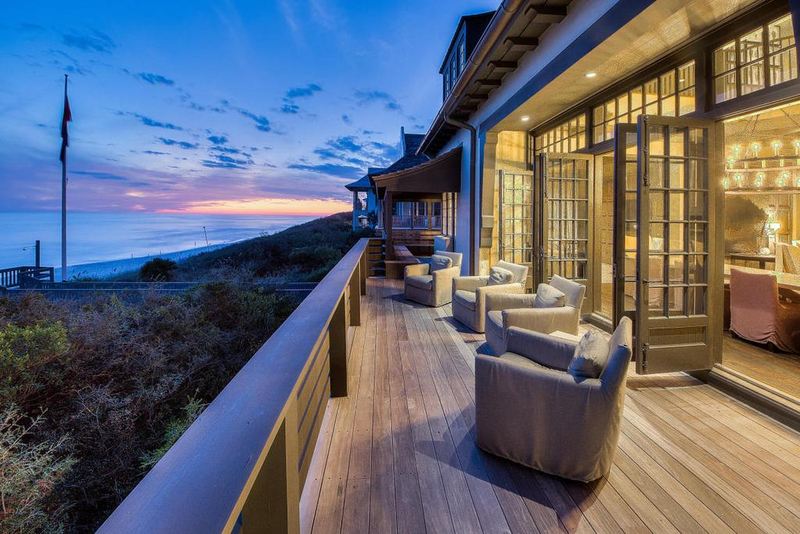 Large porches surround the entire exterior each with breathtaking views. 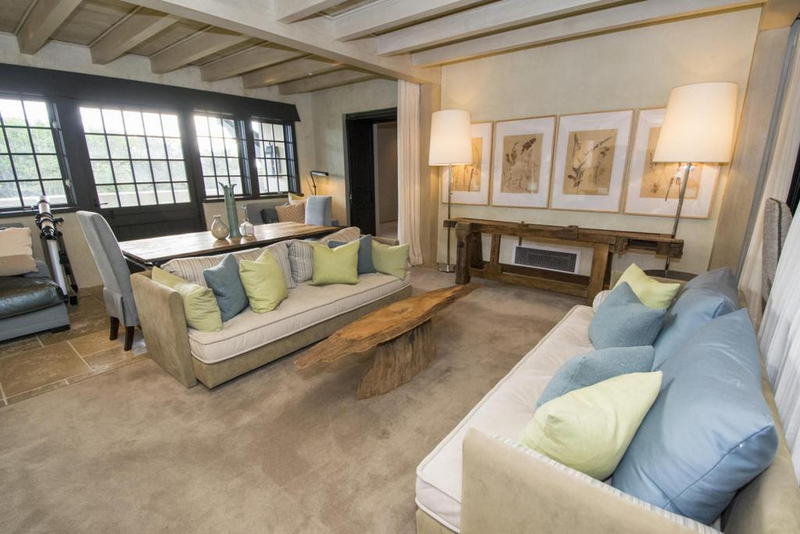 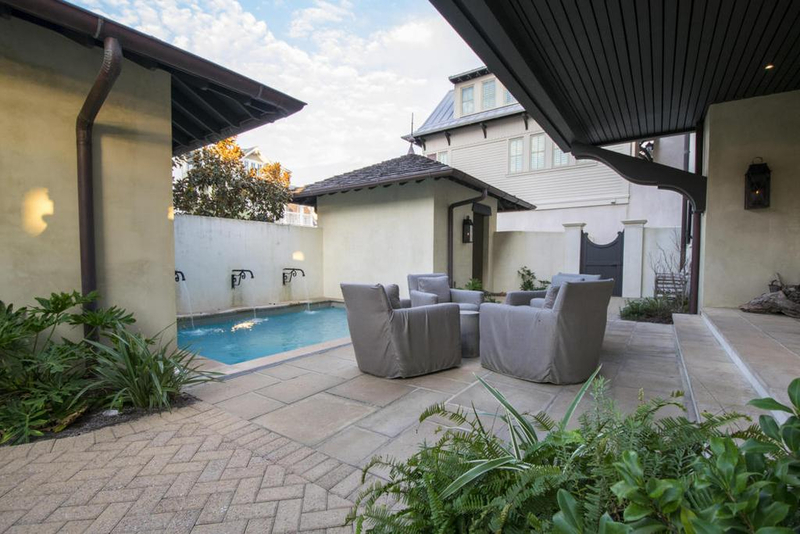 On the ground level of the home you will be surrounded by a beautifully designed gated private courtyard with pool. 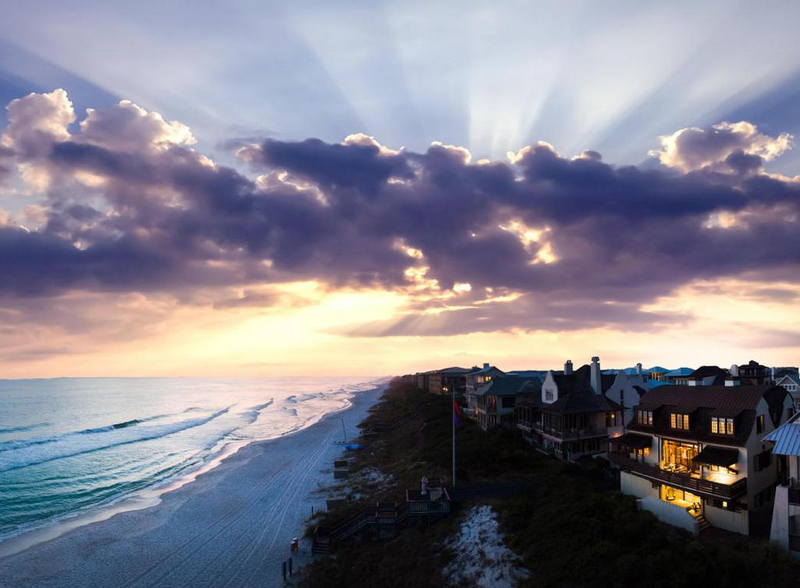 The community of Rosemary Beach in addition to it’s amazing size beach also enjoys many other amenities such as a vibrant Town Center, 4 community pools, and Owner’s Pavilion Club and multiple parks, and Amphitheatre.